Dark Horse continues our new line of products based on HBO's award-winning television series Game of Thrones. 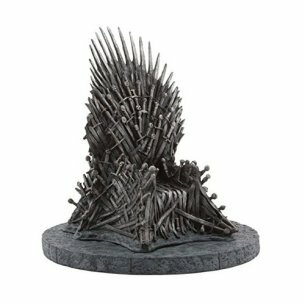 Here is a fantastic mini version of the Iron Throne replica. Based on the same sculpt as our now sold out 14" Iron Throne replica, this marvelously crafted 7" version captures nearly all the same details in a smaller, more affordable package.